These look like amazing desk pens. Thank you for another awesome opportunity. I like the larger size, but I was hoping the section diameter would be thicker. Any chance? Thanks a lot Sir. It can be made slightly thicker . Yes, the Olive green look stunning in bakul. Please Mr Kandan, would it be possible to have a gold tone #6 kanwrite nib, instead of the silver tone? I hope my pen will look like the one on your photo. I've gone for a regular size, olive ebonite, glossy finish (visvamitra's bamboo pen in olive ebonite looks so good, http://www.fountainp...4-ranga-bamboo/) - no nib, but threaded for JoWo #6. I already have a JoWo unit on the way from fpnibs.com, sporting their new "duopoint" custom grind (fine stub right-way up writing, EF upside down writing). I think I know which pen it's for now! Do you have comparison pictures with other Ranga models ? Thanks Kandan. I will make the order for a regular sugarcane. Would you be able to post a comparison photo with the same pens uncapped? I have ordered a Giant Sugarcane, Rose Red/Black Ripple, Eyedropper, Dual-tone Fine nib, polished. I've enjoyed all my Ranga pens. Thanks for having another group buy! Your photos have really improved! 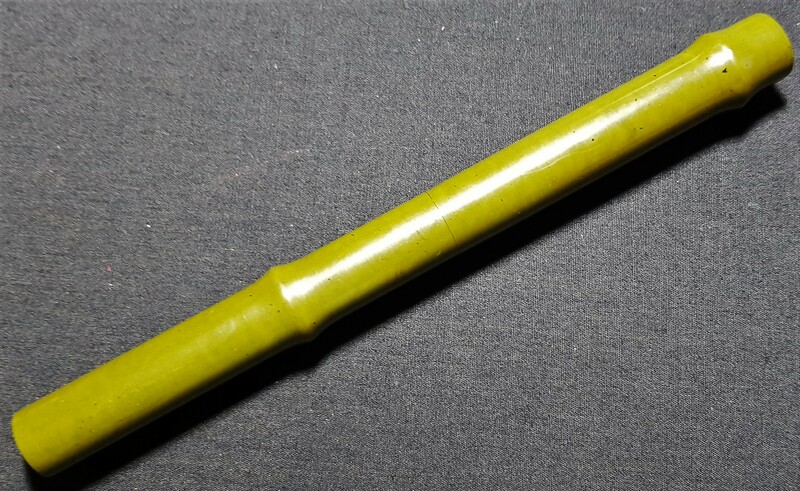 We're very enthusiastic about the Sugarcane and will be bringing a small selection to the San Francisco Pen Show in a few weeks. Visit the Peyton Street Pens web site. 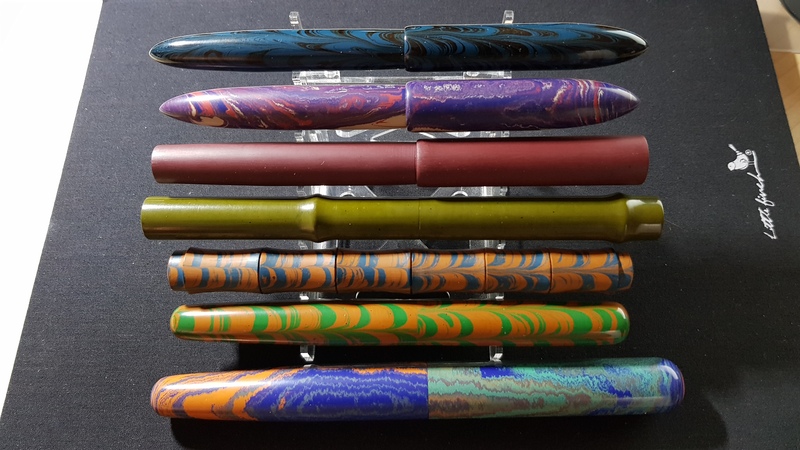 We list new pens on the web site daily ....here's a link to the very latest additions. Thanks a lot. Your words mean lot to us. Wish you all the best for SF Pen Show!!!! For slight extra cost I asked for a Bock nib to be fitted. Thanks for your great support again for making this Sugarcane Model Group buy a great Success. Got an email today to say that mine was on the way - looking forward to its arrival with eager anticipation! Unfortunately, despite my best efforts, the colour is not perfect - on my screen, the pen looks a bit brighter and more yellow than in real life. Good on you. Mine is on the way. @Fountainpagan, definitely worth the wait. I decided to ask for a gloss finish, even though the bakul finish for this colour looked pretty good (in the photos). Very glad I did so - it looks and feels great! Thanks a lot Sir for your nice words and Pictures. Big Thanks again for the Excellent pictures.. Thanks for the excellent Support for this Ranga Sugarcane Model Group Buy. All the paid orders were shipped.